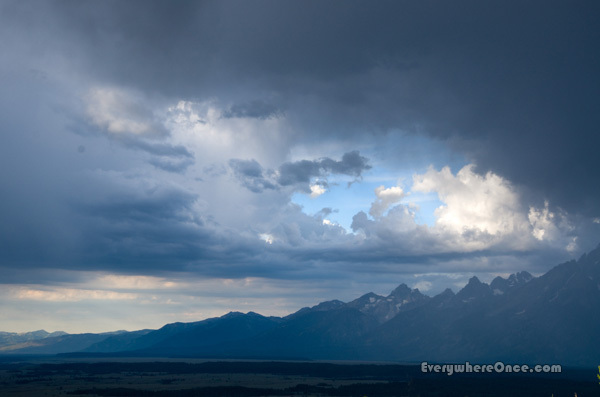 We were treated to an atmospheric extravaganza at Wyoming’s Grand Teton National Park. All of these photos were taken within a few short hours, over which time the weather alternated between brooding and blazing sun, popping off lightning and rainbows with equal frequency. 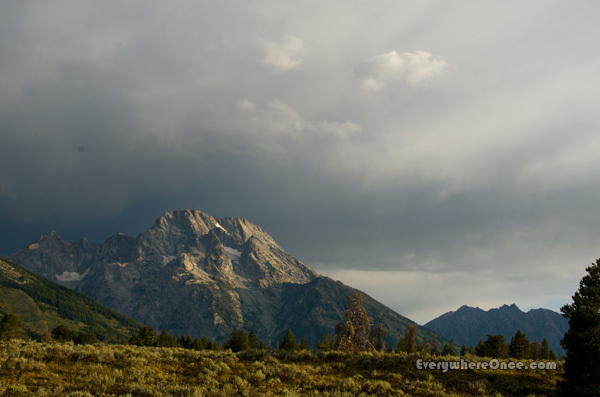 The Teton Range is stunning all on its own. But for our arrival she dressed up in Mother Nature’s finest. We couldn’t feel more grateful. I think you made my heart smile today. My son calls this place home. Yes he skis these beautiful mountains and bikes them too but what he does best is PAINT THEM. Thanks for your beautiful timely post as I was missing him so much. Loving hearing stuff like this. Thanks for sharing! Thanks. 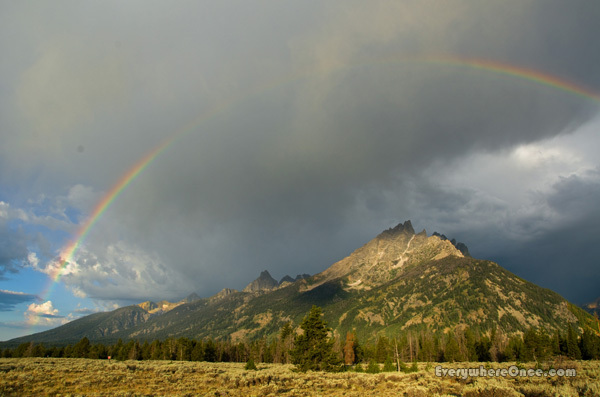 It helps when you have a great subject like the Tetons and then the weather just puts on a wonderful show. Absolutely amazing photos. Makes me want to return there soon. The image with the rainbow is incredible! Love. Great post, Brian. I had to look hard at the first photo because it looked like you had photographed an oil painting. Beautiful photography to grace my morning. Thanks. Yeah, that shot really does look like a painting. I’m pretty happy with how it came out. Holy sh*t! I love it when Mother Nature puts on a show like that to add to an already breathtaking splendor. Gorgeous! I’ve been wanting to go there! It’s worth the effort. 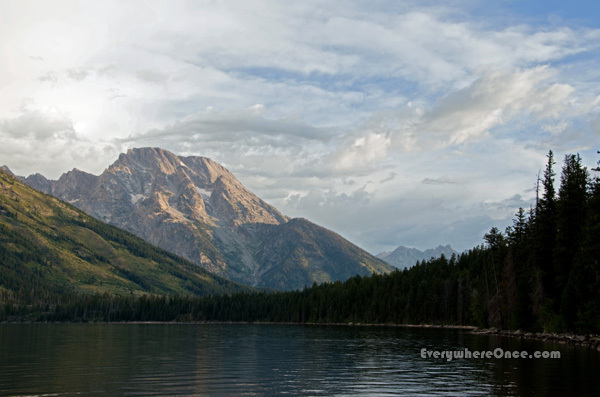 You can hit the Tetons, Yellowstone and Glacier all very easily in one trip. I love these mountains. When I saw them in person I just felt it was such a privilege to see them. 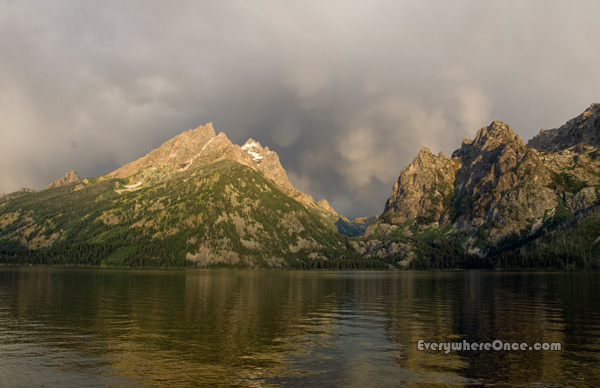 Back in our pop up tent camping days, we were fortunate enough to snag the most incredible campsite ever at Lizard Creek campground in the Tetons. There was nothing between us and the water with the mountains behind. It was the most amazing view and always changing as your photos show. Needless to say, your beautiful photos brought back wonderful memories from 30 years ago. Don’t you love those prime camping spots? Nothing quite like waking up, and going to sleep, in a place like that. Fabulous! The photos and the place! It’s pretty awesome you were able to shoot different lights all within one day. We got very lucky, I think. Well shot, and excellently portrayed! These photo’s are breathtaking! Thank you for sharing. It’s good to see a feature on the Tetons. With two of the world’s most beautiful national parks adjacent to one another, Yellowstone usually gets the attention. 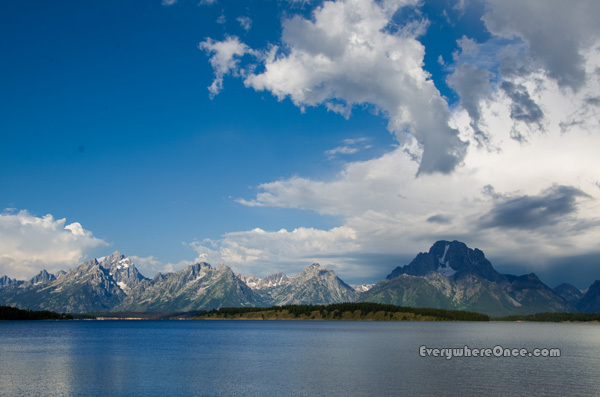 The Tetons should have equal billing. Many thanks for sharing your travels with us!